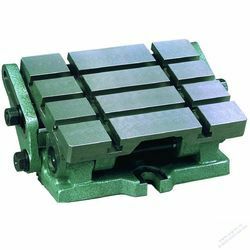 Providing you the best range of pin type grinding vice, pin type precision sine vice, scew type precision sine vice, screw type grinding vice, angular sine vices tool and magnetic v blocks with effective & timely delivery. We are offering Grinding Vice Pin Type to our clients. We are the manufacturer of Precision Sine Vice-Pin Type. 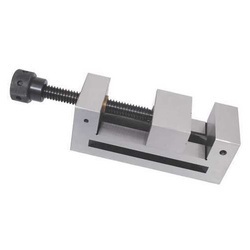 We are the manufacturer of Scew Type Precision Sine Vice. We are the manufacturer of the Grinding Vice-Screw Type. 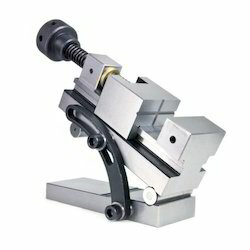 • Toolmakers Vice- a must for every TOOL ROOM. • One-piece construction made of Tool Steel-hardened tempered precision ground. • Can be used on the base or sides. 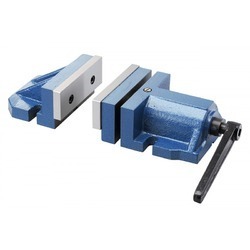 • Ideal for tool making, grinding, jig boring etc. • Accurate to within 8 microns. We are the manufacturer of Angular Sine Vices Tool to our clients. We are offering Magnetic V Blocks to our clients. 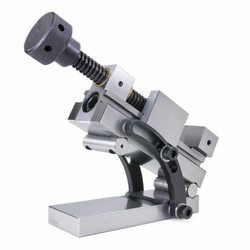 We are offering Precision Sine Vice to our clients. We are the manufacturer of Swivel Angle Plate. • Used for setting a job at an angle quickly correctly. • Useful in milling, drilling, shaping grinding applications. • Used for operations where angular setting of the job is required. 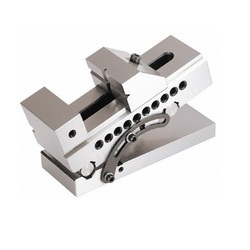 • Swivel face as machined T-Slots along the length and swings up to 45" on either side. 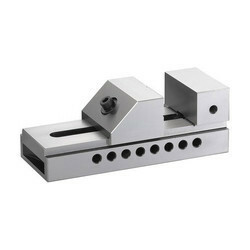 We are offering Two Pieces Vice to our clients.